Polak, Max (Editor). Daily Lenten Meditations: Prayerful reflections from John Paul II. Liturgy Train Publications, Archdiocese of Chicago. 2003. Robert Emmet Barron is an American prelate of the Catholic Church, author, theologian and evangelist, known for his Word on Fire ministry. He has served as an auxiliary bishop of the Archdiocese of Los Angeles since 8 September 2015. Previously, he served as Rector of Mundelein Seminary in the Roman Catholic Archdiocese of Chicago. ​Robert Barron. "Extreme Demands, Extreme Mercy" Vibrant Paradoxes: The Both/And of Catholicism. Word of Fire Catholic Ministries. 2016. Peggy Noonan (b. September 7, 1950) is the author of seven books on politics, religion, and culture, five of which have been New York Times bestsellers. She was a special assistant to President Ronald Reagan, working with him on some of his most well-known speeches, and a chief speechwriter for Vice President George H. W. Bush when he ran for president in 1988. Noonan’s writings are informed by a working-class, populist sympathy, a conservative perspective, and a Roman Catholic spirituality. Kerry Kennedy. 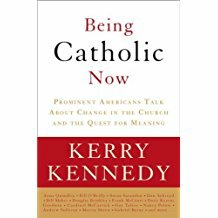 Being Catholic Now: Prominent Americans Talk about Change in the Church and the Quest for Meaning. Crown Publishers (New York). 2008. 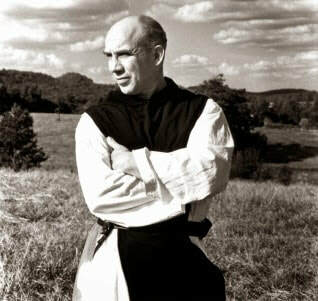 Thomas Merton, O.C.S.O. was an American Catholic writer, theologian and mystic. A Trappist monk of the Abbey of Gethsemani, Kentucky, he was a poet, social activist, and student of comparative religion. In 1949, he was ordained to the priesthood and given the name Father Louis. Socrates of Constantinople (Greek: Σωκράτης ὁ Σχολαστικός, b. c. 380; d. after 439), also known as Socrates Scholasticus, was a 5th-century Christian church historian, a contemporary of Sozomen and Theodoret.